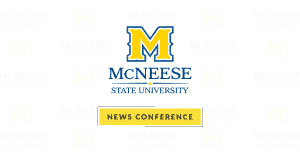 Howdy Rowdy Welcome Back 2018 kicks off the fall semester Monday, Aug. 20, for thousands of new and returning students to the McNeese State University campus with a variety of events over the next two weeks. This event provides numerous opportunities for students to experience what campus and community life has to offer. Join the 14 Greek organizations for a day filled with food, fun and fellowship. Organizations will distribute information about joining their groups or supporting their philanthropic efforts. The annual Student Organizations Fair is a chance for students, faculty and staff to become acquainted with the over 100 recognized student organizations on campus. 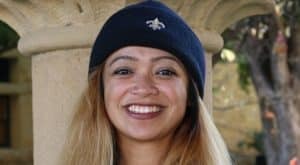 Various student support departments and academic areas will greet new students, hand out information about the services they provide and answer general questions. Local businesses and community service agencies will have informational booths in the New Ranch about their products and services, as well as opportunities for part-time employment or internships for students. Howdy Rowdy Welcome Back kicks off the 2018 fall semester at McNeese State University. Students enjoy free food and music while they browse booths throughout the week that provide info on everything from student organizations and Greek life to university services and local businesses. 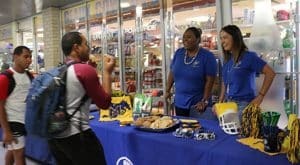 The McNeese Student Government Association will host a day of free food, music and cool giveaways to show its appreciation for the McNeese student body. Students can also learn more about how to be involved with the SGA. To promote student wellness, Student Health Services will provide information and resources on academic, emotional, nutritional and sexual health as well as responsible alcohol consumption. 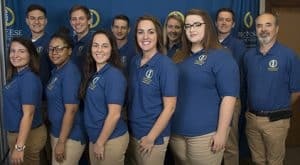 McNeese’s campus ministry student organizations will distribute information to students regarding worship services, meetings and free lunch programs.